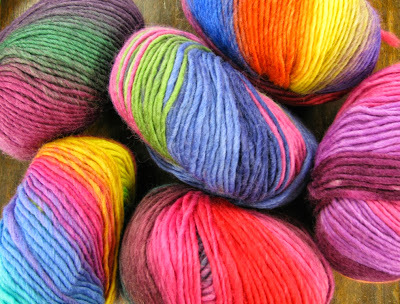 In the shop NOW - our newest aran weight is Hjertegarn's Incawool Design Colours. 100g balls of pure wool stripey-ness. It will give you a pop of colour for garments and accessories and it felts beautifully too! For £6.95 for 160m - you can have a psychedelic wardrobe!